Siddharth Khullar is an imaging scientist with a humanitarian impulse and a head for business. 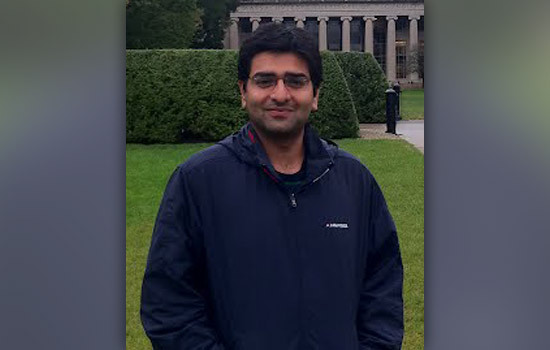 Originally from New Delhi, India, Khullar is a doctoral candidate at the Rochester Institute of Technology’s Chester F. Carlson Center for Imaging Science. He recently won a “Judges’ Choice” award and $7,500 in the Massachusetts Institute of Technology IDEAS Global Challenge. Thirty-seven teams competed for the top prize in the annual competition for socially driven start-up companies. Khullar ’09 (M.S., electrical engineering) and his team were among the 13 groups recognized at the awards celebration May 3. They won second place in the Judges’ Choice category for their portable device designed to image the human retina and screen for diabetic retinopathy, HIV/AIDS-related retinitis and age-related macular degeneration—conditions that can lead to blindness without early diagnosis and treatment. Khullar is completing his year as a visiting student with the Camera Culture Group at the MIT Media Lab and hopes to return as a post-doctoral fellow. He has spent his current appointment developing low-cost vision- and eye-related devices for detecting cataracts and glaucoma. His goal is to launch “a ‘hardware’ app store” to serve the healthcare needs of the developing world. Next, he will head to Microsoft Research in Seattle for a summer internship. Khullar will join Microsoft’s Computational User Experiences Group to follow his passion for well-engineered bio-sensing and interaction devices. Khullar expects to complete his thesis research in the summer and defend his dissertation later this year. He is developing computational imaging methods for improved analysis of functional MRI data for identifying brain diseases, such as schizophrenia and autism. He conducts most of his thesis research as a graduate research associate at the Medical Image Analysis Lab at the Mind Research Network for Neurodiagnostic Discovery and Mental Illness in Albuquerque, N.M. In addition to his successes at the MIT Media Lab and his doctoral research at RIT, Khullar’s interest in image and video processing—the focus of his master’s degree in electrical engineering from RIT—has recently evolved into a commercial venture. The editorial staff of Technology Review named Khullar one of India’s top 35 innovators during the emerging technology conference, Emtech India, in Bangalore in March, where he was a featured speaker.